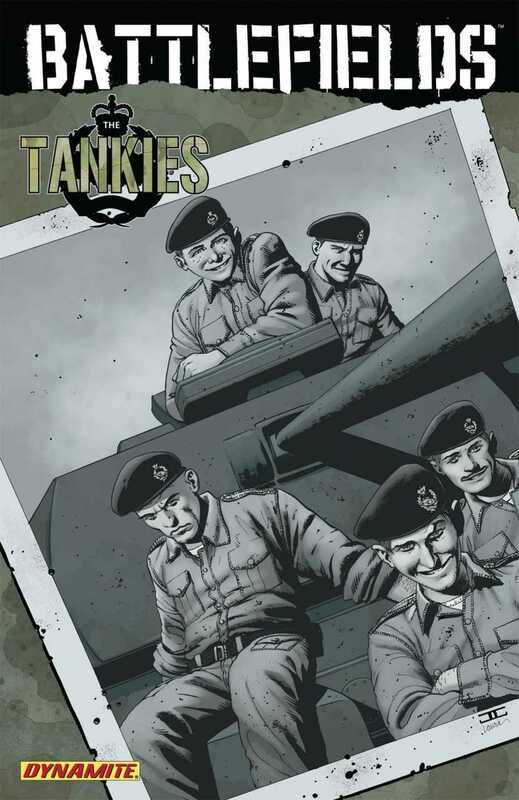 The army buddy crew was a staple of British boys’ war comics of the 1960s and 1970s, and in Tankies Garth Ennis revisits that, but the difference he makes is adding a sense of gravitas by placing his crew amid actual World War II campaigns. However, that’s about the extent of the reverence as Ennis exaggerates both the British upper classes and regional working classes for comic effect. 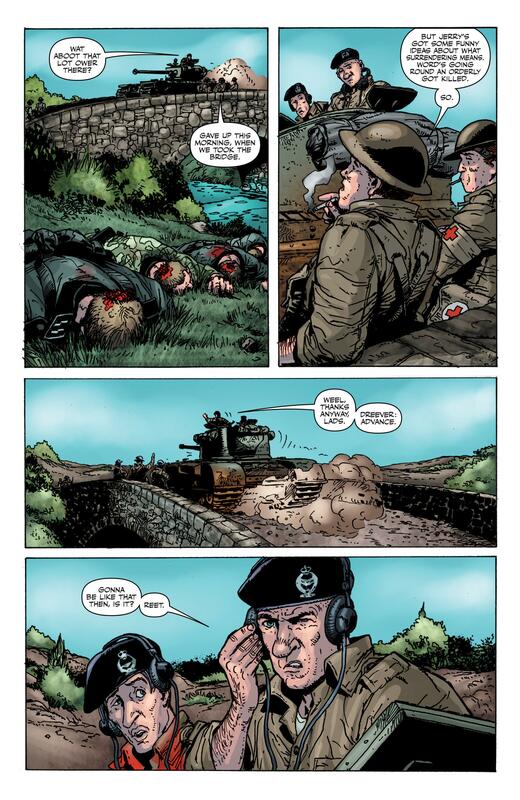 A relatively novice tank crew taking part in the 1944 Normandy offensive is placed under the charge of a rough and ready Geordie who’s seen it all, having had every tank going blown out from under him. Corporal Stiles is a magnificent creation, a Geordie rough as all get out with no time for command. His contrasting qualities are thinking on his feet, battle nous and a knowledge of tanks inside and out, and not just those used by the British army. 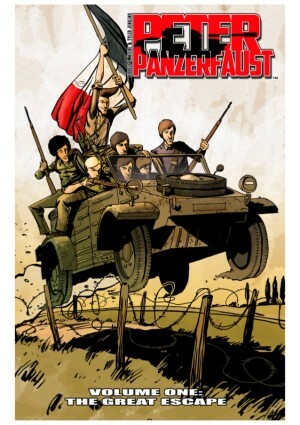 His phonetically spelled dialogue wouldn’t be out of place in Viz Comic, so goodness knows what readers outside the UK will make of it, particularly when its used to run through the technical capabilities of assorted tanks. Beyond that there’s a sardonic tone as Ennis contrasts the officers, serving men and Germans, his sympathies only ever lying with one group. 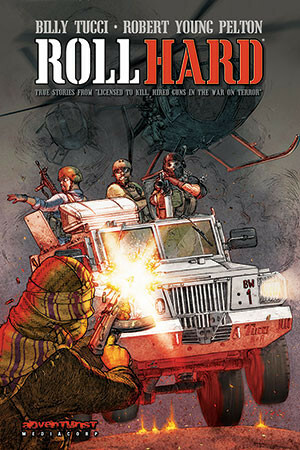 Anyone just used to Carlos Ezquerra on Judge Dredd may be surprised by his art, yet before Dredd he’d drawn war comics for years, so this is familiar territory to him, and he seems to be enjoying the return more than he was enjoying the Dredd comics he was drawing around the same time. 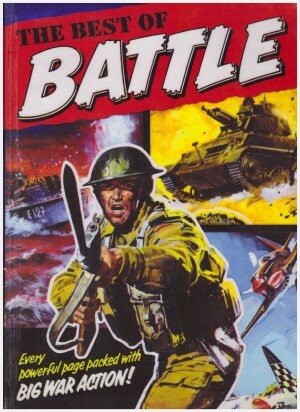 His character design has always been great, but his loose style works equally well with identifiable tanks, and there are some great panoramic battle scenes. 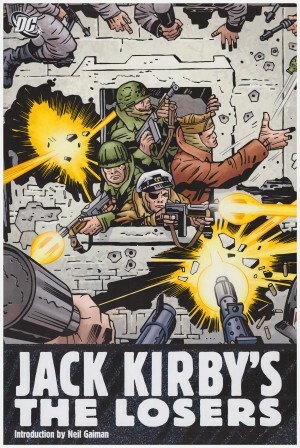 As this isn’t British boys’ comics there’s licence to be more explicit when showing the effects of combat, and while never gratuitous, neither does Ezquerra shy away. Ennis was fond of the tank crew and returned to them twice, next in The Firefly and His Majesty. Tankies can also be found with two completely contrasting and even better stories by Ennis in volume one of The Complete Battlefields.